The Must See 25 Haunts for 2010 is full of fantastic haunted houses that you MUST go see if you can! I visited hundreds of haunts and chose some of the most unique, complete, scariest and fun haunts for the list. The haunts were selected solely based on the quality of their shows. As always, I have no ownership or financial stake in any of these haunted houses. We all have different opinions about what we like in a haunt, but we all know that the best measure of success lies in whether or not the customers scream, and each of the 25 on our list do just that. Are you ready to be frightened? Check out CreepyWoods Haunted Forest and join Z104.3 for a night of scary fun. Z's afternoon guy Mick Lee will be there from 7:30pm -9:30pm with some Z104.3 goodies be sure to be there and be scared. 92Q Jams -Pork Chop and Squirrel will Broadcast Live at Creepywoods Friday October 8th. Join 92Q Jams Off The Hook Radio, with Pork and Squirrel, as they broadcast LIVE from the most haunted place in Maryland – CreepyWoods Haunted Forest. 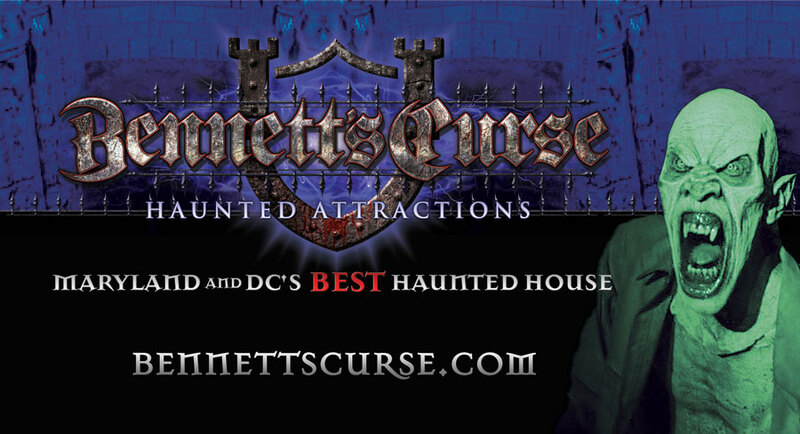 Lil Mo from WPGC will be at Bennett's Curse on Friday October 8th! Get out your best Halloween outfit! Lil Mo will be at Bennett’s Curse on Oct 8th 7p-9p with her family! Join her family and the WPGC family for a night out of fun and adventure. Located halfway between Baltimore and DC, just off 295 and 175. 8024 Blobs Park Rd in Jessup, MD. Open 7p-10p during the week and until 11p on Friday and Saturday night and Halloween night! Voted MD and DC’s Best Haunted House! For more info go to www.bennettscurse.com.